It was another lackluster, lethargic performance. Too slow, too predictable and without enough drive and determination. Arsenal seem to actually want to play in this rather slow way where the build up to the attacks is undertaken with a lot of sideways passes and slowly progress to the opponents box. The reason for this of course is that the other team put 10 men behind the ball. But they put 10 men behind the ball because they are given the time to do it. Even at times when Sunderland ventured forward and left gaps behind which Arsenal could exploit, the counter attacks lacked pace. Arsenal’s biggest weakness was the two central midfielders. They slowed the game down too much with the main culprit being Song who was also wayward with his passes. There were only a few forward and penetrative passes coming from them. Nor, more importantly, were any meaningful tackles. This meant that not enough balls were won in midfield and therefore not enough pressure placed on Sunderland’s defence. As a result Sunderland were able to pass their way out of trouble and through Arsenal's midfield which allowed them time to breath and take the sting out of the game. To their credit they did this quite well (but only because we let them do it). In attack Van Persie and Bendtner did not click together. I don’t remember a pass they made to each other all game. It was as though they were playing in different teams. The positive is that Arsenal’s defence is beginning to play very well keeping another clean sheet. Toure and Gallas have started to find form (Gallas ever since he was stripped of the captaincy). Almunia is growing into a hell of a goalkeeper. With his calmness, shot stopping and aerial ability he brings the feeling of security to the other defenders which in turn helps them in their performances. If only Denilson could add to his 73 tackles this season. A poor 8th in the League in terms of tackles won is not good enough. To be fair, I like that you have rated him highly. When you replace Fabregas with Song you will get a lack of quality, but the real porblem is the pathetic wing play. Only when Arshavin did his stuff did we look half decent. In this case, closer free kicks were very necessary for goals. Don't agree with you about Sagna. Why is he being blamed for not putting in crosses when the wingers, the players who should be putting in the crosses hardly did any better. i would like to disagree with you on denilson only. i think we have all been too impressed by that kid too easily. we have to see first what he brings to the team. quite frankly nothing at all. his passing is not like fabregas, his tackling is not like flamini, he cant win long balls like gilberto, he cant enforce himself like viera, he is not fast like theo. in my opinion he has been the problem in this arsenal team. we got rid of hleb because he made a pass to many and not take the shot. i believe all denilson does is pass the ball to the player closest to him on the left or the right and thats about it. he has the easiest job in the team and in our last game i actually went thru the trouble to count how many misplaced passes he made. he was only second to eboue. i would like to end with just that. Gallas and Toure 7? our defence was weak as usual and Sunderland could have scored in the first half a couple of times. Denilson 8? No impact on the game, just those passes sideways. Can't undertand anyone knocking Denilson today. As far a i can see the kid can't do any right in ome people's eyes and they will never admit he had a good game. Denilson worked the hardest, made the most interceptions and most tackles. He set the tone early on when he crunched someone in the middle of the park. Denilson is a good player and i'd rather him pass sideways than knock it long and us lose it. He can penetrate with his passes -wasn't it Denilson who sent VP through in the first half? I think so. This Arsenal team is shite. Denilson motm??????? Denilson, Diaby, Eboue, Bentdner, Ade all rubbish. Let's excuse the entire season on too many injury problems. Let's just blame our performances on injuries and write off another season. Muppets. This team at full strength is not a cl team. this is half the problem. Loads of donks banging on about how good Denilson is. I bet pre match the oppositon are in total fear lol. So many of this team are not Arsenal class yet most of you Wenger clones seem intent on settling for this shite. Before long we will be a UEFA team at best unless he invests. You might not wanna hear it but its the truth. Arshavin - quality. Yet why has it taken so fking long for him to buy a player like this?? People moan about Eboue falling over easily, RvP fell over whenever he felt the vaguest whiff of a breeze, it was downright annoying, and lost us the ball far too often. Bendtner worked his socks off, apart from not bothering to watch Arshavin after had just passed him the ball. Twice in the first 30mins we had chances to break from out own half with sunderland players committed up in attack, and he stopped and waited for the entire stadium to move back into defence. Too many players seem to take it easy because they want to play in the next UCL game. Too many 50/50s saw Arsenal players pretending they didn't know where the ball was, or running in the opposite direction. Wenger claims the players had the right attitude? Please, don't make me laugh, I've seen bricks that are more interested. Players who play like they really aren't interested should be dropped for the UCL games. I'd rather watch the CC lads put in effort and lose than see those prima-donnas waltzing around like the sun shines out their fundamental orifices and still get selected for the "important" games. It really just isn't good enough, and it's time the players were told that, and SHOWN that by the manager. And that horrible elvis cure for insomnia HAS to go. I'm pretty sure it has a lot to answer for with the team out there looking like they're half asleep. Denilson gets an eight? What were you watching? Okay, he had a few good tackles but he was barely decent at best. PERIOD.He offered little if anything.Many a times during the game Sunderland cut up Arsenal like little ribbons passing the ball effortlessly in central midfield. He doesnt deserve an 8 for that at all. pass pass pass. but where was it going? too many nothing passes. I think defensively we are fine - winning the ball etc, but when we get the ball its just sideways slow passing, keep possession football. little vision in key areas and definite lack of urgency and pace. Cesc is missed badly because he likes to get the ball forward quickly and join attacks down the middle. Sunderland were very comfortable in front of their defence in the middle. we also lack a bit of pace up front. I thought Vela improved the shape and focus of the team but he just mishit his chance. The problem is mostly a Den and Song central midfield, I have to say - one or other is fine in a game like this, not both. Not sure what the solution is. Try Ramsey in for Song or Den? I'm from Catalonia and I am an Arsenal fan as well as a Barça fan. About Denilson, many of you say that he just passes the ball to the guy next to him. I'm sure that all of you think that Xavi is one of the best midfielders of the world, but I can confirm that in the 99% of the games he just passes the ball creatinc 0 gol oportunities, and many times he does it really slowly. So, Denilson in attack I think that does the same of Xavi, but in defense, although Denilson isn't an excellent tackler, he really covers a lot of area, and he gets a lot of passes from the other team. Moreover, he is always agressive, and don't forget that he is just 21, and he can get better in a lot of things, for example in the tackling (because he is strong compared with his age), in the long passes (which I think that are really good, but he just doesn't have the confidence to send those long balls) and the long distance shot. In conclusion, I think that in attack maybe you think that he isn't productive enough, but compared with other players he isn't so bad, and he's good overall and surely will improve his game in next seasons. Just give him the confidence. Absolute shite.......Wenger piss off now. Denilson is meant to be playing the role of a creative midfielder yet he has the creativity of a particularly uninventive sloth. And then when we take into account the fact that his workrate during 90 minutes is probably comparable to this same sloth i think you get a pretty distinct picture of what i think of Denilson. Honestly 8 out of 10? What are you rating him on? His usual performance? Dean Whitehead? An actual whitehead? You want to know the real reason we didn't score today - Denilson. You have insane creativity up front and on the wings. Yet they have no option to go inside because Denilson just doesn't have a clue. This left Nasri and Arshavin with the option of passing to song - which results in the ball going back faster than a bullet train. The quicker Wenger realises that Nasri played central midfield almost his whole career in France and he sent Vela on loan for two seasons to play left wing the better. The only way this team will score goals without fabregas is by playing this midfield. And just before someone derides me for putting Song in the team at least he plays his role of the defensive midfielder (however badly). I mean lets not forget the main reason Fabregas wasn't playing well before his injury - the fact that Denilson refused to play his position. I hate the previous posters opinion more than anything at the moment. Mythological views rather than factual performance related views. Denilson is not "meant" to be our creative player, he is our defensive midfielder - even alongside Song he sits back. Then we hear "Fabregas was poor before his injury and it was because he was alongside Denilson" - I would just like to clarify that, alongside Denilson, Fabregas played further forward and was lax in his defending, but created more goal attempts for his team mates, had more shots on goal and maintained a brilliant pass/success rate. It is a myth that he was poor, never mind that being Denilson's fault. Denilson has performed brilliantly this season in an average midfield. Playing Song or Diaby in place of Fabregas was never going to help matters. But then we have the failure to replace Hleb until the Russian dude came in. We fail to create enough chances, we lose the ball far to often and we are do not have the same flair and guile. But we blame that on Denilson? The 8th best tackler in the league? Arsenal fans will use anything as an excuse rather than looking at reality. Denilson is an easy target because he is not big and black, he does not have dreads, he does not run around like a mentalist, he is not English and he is not Fabregas - but he is a damn good defensive midfielder. The idiots who are allowed to comment on blogs these days. I wonder if they realise its not their god-given right to see Arsenal win every game 4-0 playing champagne football. Our midfield was our weakest performers today. Song was not up for it.Very laid back and ineffective.Denilson did OK. But how you gave him MOTM i don't know. I think Arshavin was our biggest threat,then Vela,then Toure. Vela being a sub and Toure a CB says it all really about our lack of footballing intelligence in the heart of our midfield. Football is not just about athleticism but more so intelligence. Eboue is far more athletic than Fabregas but a FAR worse footballer!! BOTTOM LINE:When will Wenger learn? Finally,i watched Man U and Barce today after the Sunderland draw. We are miles away IMO. I challenge anyone to have a great partnership with Song in midfield. Denilson has been one of our most consistant performers this year. Since we started leaking goals at the start of the season, he has been able to sure up the team defensively and has worked hard with few mistakes. He has changed as a player this year, curbed his attacking instincts to do a job for the team, unfortunately he hasnt got a partner who can pass or move the ball quickly enough to compliment him. Even Viera had good partners Petit & Edu who didnt need protecting all game. People need to understand what his role in the side is and start appreciating him more. i keep saying it denilson not good enough for arsenal. his station at the mo is lower prem teams. I am finding it difficult to accept some of these comments. Over the past 3 months Wenger has changed the shape of the team due to injuries to our playmakers and some defensive frailties in our team. The result has been a series of lowscore draws. Yesterday we played Denilson and Song as holding midfielders behind Nasri, RVP and Arshavin. Bendtner up front. This was a consequence of the available players. Denilson and Song both won enough ball to allow Nasri and Arshavin forward. The score could have easily been 3:0 but for some poor finishing and some good keeping. I know it wasn't and that is the bottom line, but not because of Denilson or Song. Song is clearly not in our best side but given the players sitting in the stands I'm sure even he reaslises that. When Fabregas is back and at his usual level we'll see whether or not Denilson is up to first team standard, but fans expecting Denilson to play a Fabregas role (and as well as him) are living in a fantasy land. And the guy who complained about him not being a Flamini, Viera, Gilberto, Fabregas. No he isn't. And none f them are like each other either. He is himself and he is developing nicely. The bottom line is we do not have enough "QUALITY" there are some gifted young players in the side granted, but as a team we are not showing or quality in possession, defending or attacking. What does it does it say about our team when we substitute Song for Eboue - nuff said ! Those seeking Wenger's departure : it is quite unlikely that he will be asked to leave. We are already short of some quality players and Wenger's exit will spark an exodus of players. I am quite scared at the prospect of what might happen if we dont qualify for the CL next season. I hope players like RVP and Fabregas (who is quite sure to leave should Wenger go) will stick with the team. On the Sunderland game : it might not be fair to place all the blame on Denilson. While he didn't sparkle, he didn't screw up either. I think the mid-field and the strikers should share the blame equally. We seem to have lost the ability to land proper crosses into the box. All the crosses (which were few in number) were off the mark. You can do only so much by passing on the ground. For this game, we lacked Theo Walcott's penetrating runs. Denilson played well, he did his job correctly but still too many passes sideways. He won't be a creative midfielder, more of a DM who can't tackle yet. The most problematic thing is, SONG! Man he was so awful, supposed to destroy Sunderland attacks but what he does is just run around, getting sucked in, no positional awareness, can't even get close to the ball to tackle! With the ball he can't make a single pass. Honestly yesterday he was dreadful, only can pass sideways and within 5 yards. I just don't get this rat. When Arsenal have possession, Song gets sucked into the 18 yard line team camp, instead of staying deeper and protecting the back 2. This leaves a massive gap and counter attacks were hugely common. Toure and Gallas were overexposed and with Clichy and Sagna trying to provide width, Richardson especially could run at our CBs. Well done Sagna for covering! Denilson therfore has to do 2 jobs because Song is not disciplined or has the required intelligence to cut it. The worst thing is, we have no other replacements :( Sorry for the rant. 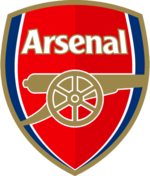 I identified arsenalanalysis.blogspot.com after previous months and I'm very excited much to commence participating. I are basically lurking for the last month but figured I would be joining and sign up.